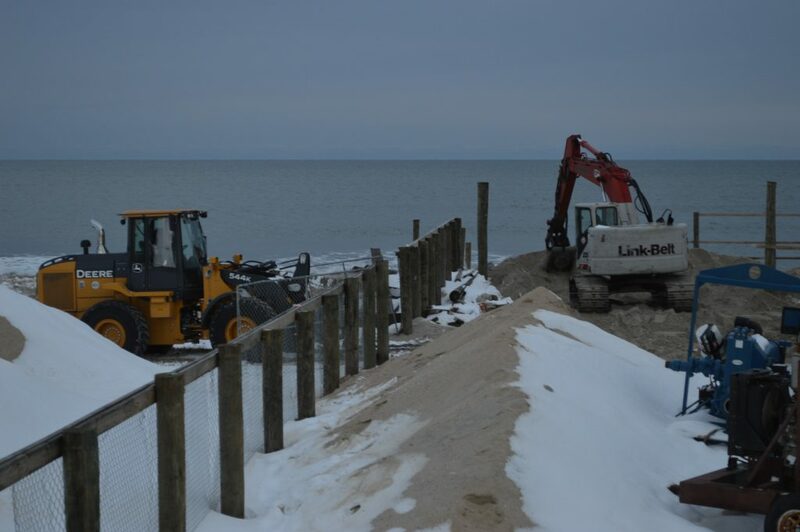 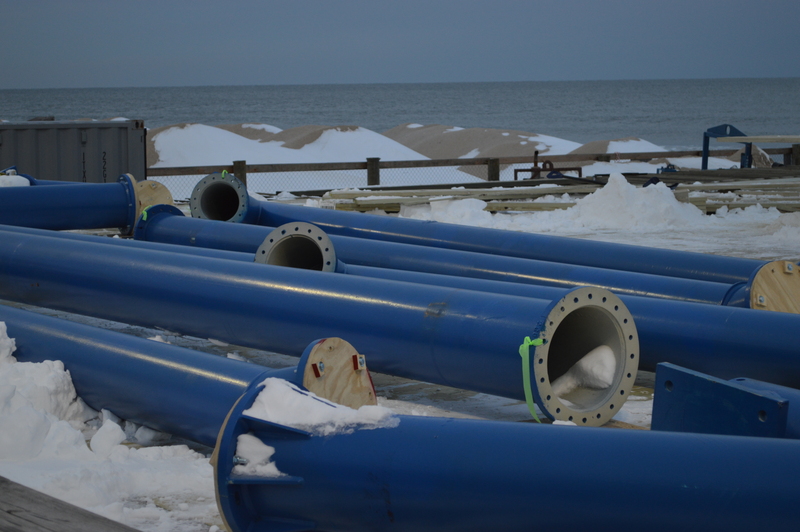 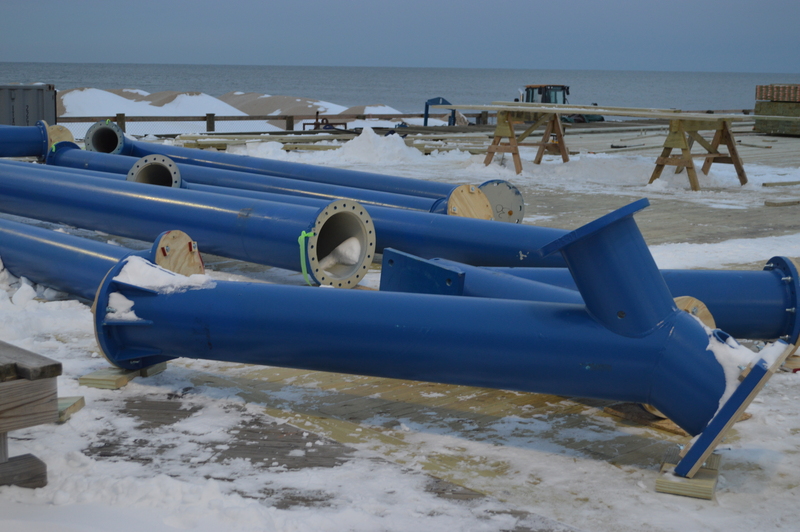 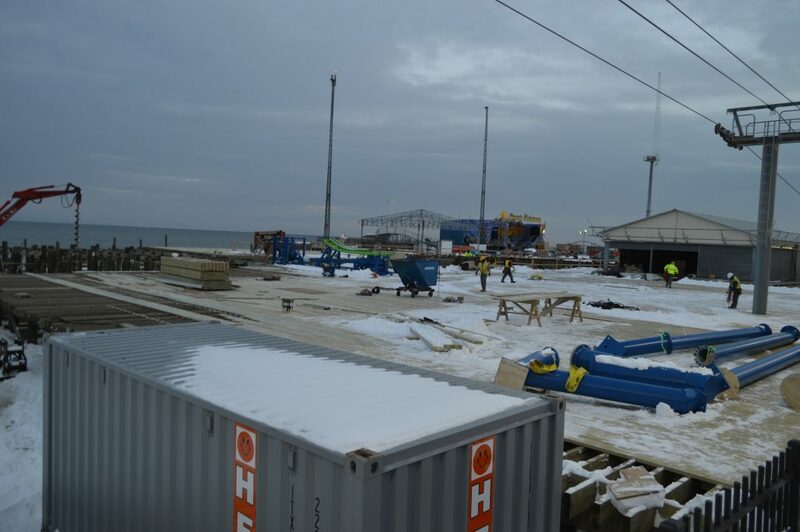 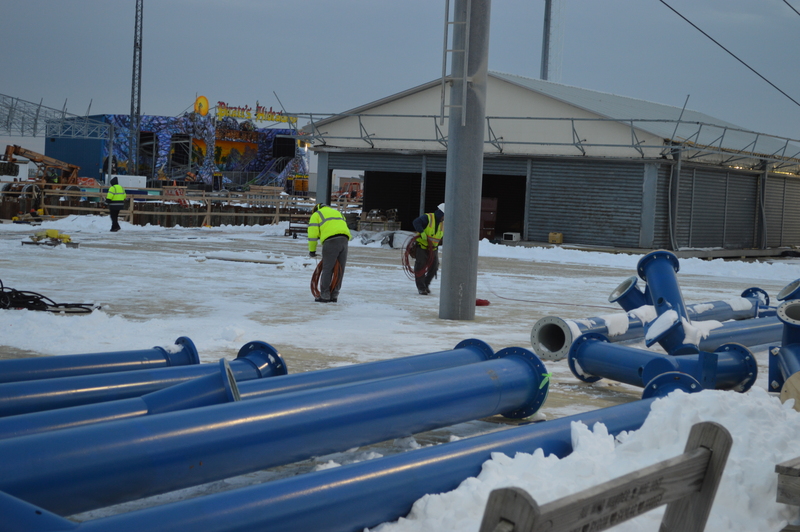 The Seaside Heights boardwalk was covered in snow, but that didn’t stop crews working on the Casino Pier expansion project from getting to work Monday. 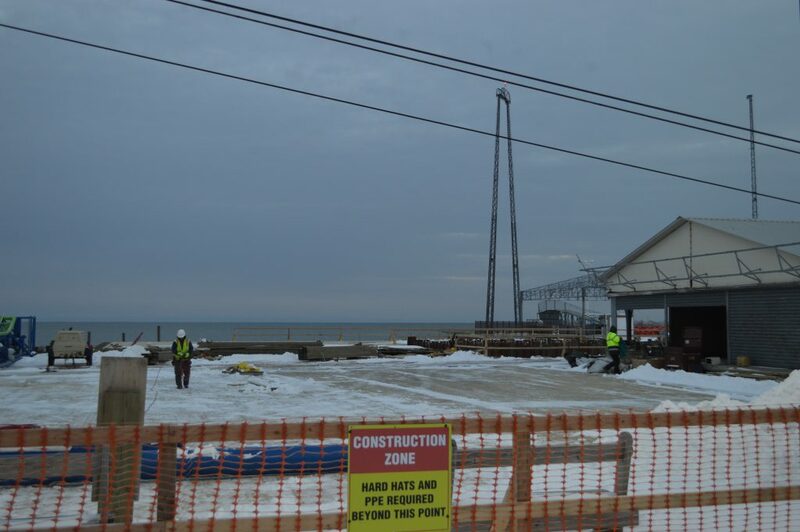 Despite gusty winds and temperatures in the low 20s, crews continued driving piles, installing decking and even transporting the first pieces of a new roller coaster planned for the pier from a lot across Ocean Terrace onto the boards. 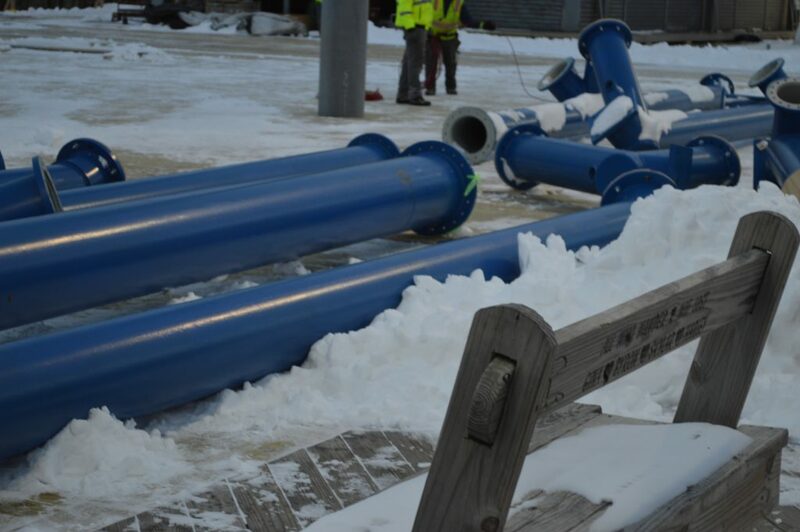 The blue-colored foundation poles and tracks were visible in the construction site Monday afternoon. 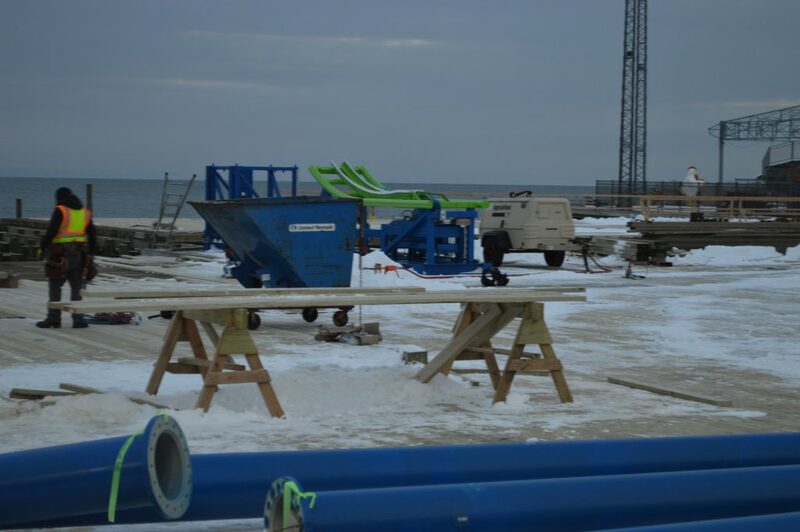 Late last month, the Seaside Heights planning board granted approval for the roller coaster as well as a Ferris wheel to be constructed on the expanded portion of the pier. 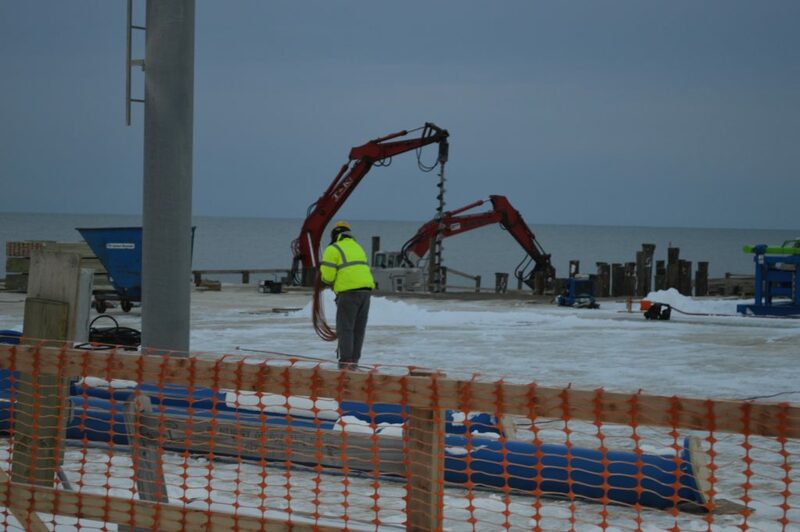 Construction also continued toward the southern end of the boardwalk, where businesses destroyed in the 2013 boardwalk fire were being rebuilt.